More good news: we started offering single fonts. Next to buying font packages, you can also just buy a single style if that’s all you need. However, we will keep on offering font packages as the bundle-discount can go up to a whopping 60% compared to buying those fonts as single fonts. You don’t wanna miss that discount, right? Good news makes us happy. So earlier this week we gave our bundle-buying customers a “present you can’t refuse”: pick any single font of your own choice for free. 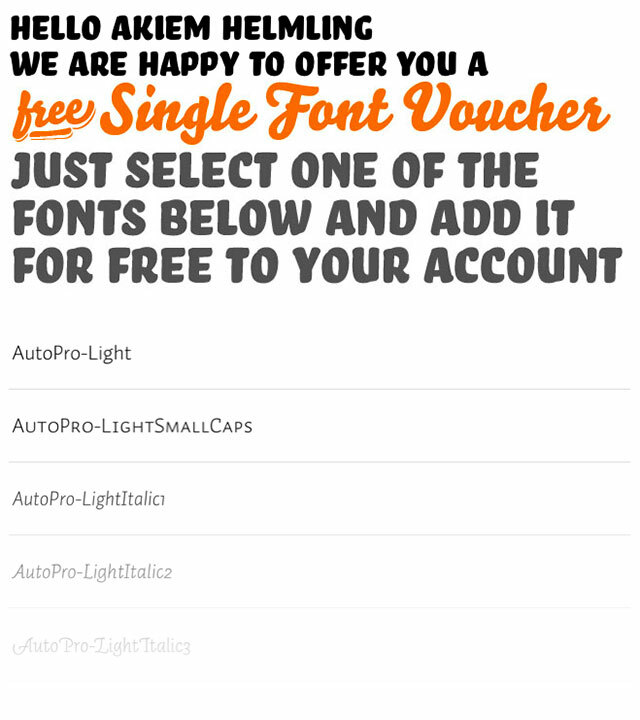 If you previously bought a font package directly from us, but didn’t receive a free font voucher yet: email us.